Apple, Google, and Microsoft have banded together with a number of major corporations in the United States keeping to their pledges to combat climate change, despite actions by President Donald Trump to try and free companies from constraints in environmental policies put in place by the Obama administration. 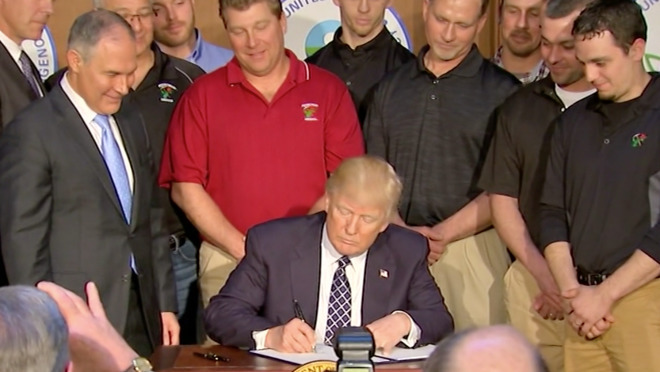 On Tuesday, Trump signed an executive order telling the Environmental Protection Agency to reconsider climate rules instigated by President Barack Obama, as well as to rescind other Obama orders that forced the government to consider climate change in its decision-making processes. The core of the attack was against the Clean Power Plan, a rule that aimed to reduce carbon pollution from power plants, cutting emissions by 32 percent by 2030 relative to 2005 levels. While the plan set targets for individual states to meet, each state had to come up with its own plan of attack, or have plans created for them by the EPA. According to Bloomberg, many companies that have pledged to fight climate change will continue to do so. Apple joined other tech companies, including Amazon, Google, and Microsoft in expressing support for the attacked climate rules, in a joint statement shortly after Trump signed the order. "We believe that strong clean energy and climate policies, like the Clean Power Plan, can make renewable energy supplies more robust and address the serious threat of climate change while also supporting American competitiveness, innovation, and job growth," the statement reads. This is not the first time the four tech companies have spoken out in favor of the policies. During a legal battle in April 2016, Apple pledged their support for the Clean Power Plan alongside Google, Microsoft, and Amazon in an amicus brief filing, during a lawsuit brought forward by 27 states against the Obama administration's plan. Other companies have spoken out against Trump's action, with confectionery company Mars' vice president of corporate affairs, Andy Pharoah, advising the firm was continuing its commitment to eliminate its emissions entirely by 2040, and that it is disappointed the administration has decided to roll back climate regulations. Companies that signed a 2015 pledge to the Obama administration to reduce their carbon footprint, including Wal-Mart, Nestle, Ikea, and Best Buy, are also said to stand by their commitments. 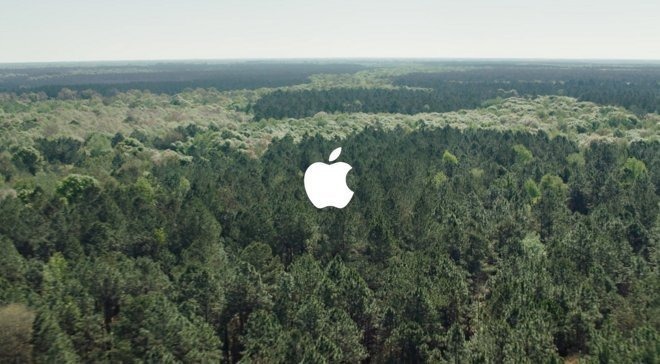 Apple has been at the forefront of the push to a more environment-conscious economy for quite some time, and has a number of policies in place to help further the agenda. In 2013, Apple hired Lisa P. Jackson, the former administrator of the EPA, to oversee the company's green initiatives. The push to make its suppliers greener and its embrace of renewable energy, even in its new headquarters, has helped Apple earn praise from Greenpeace. In January, it was named the most environmentally-friendly technology platform company for the third consecutive year.